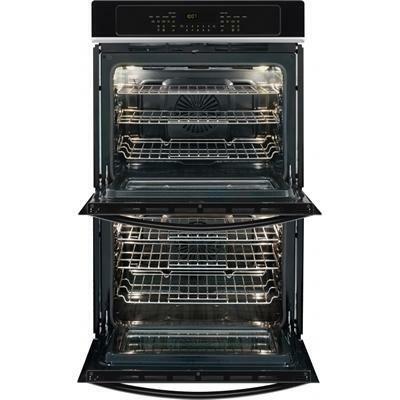 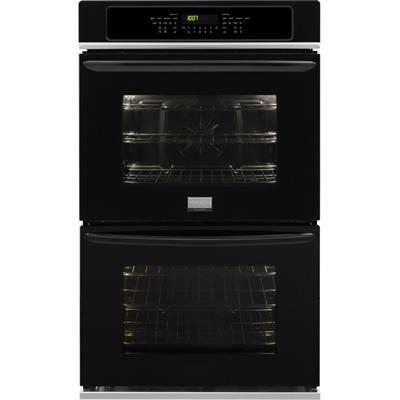 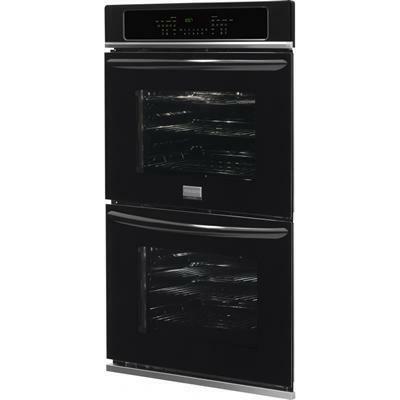 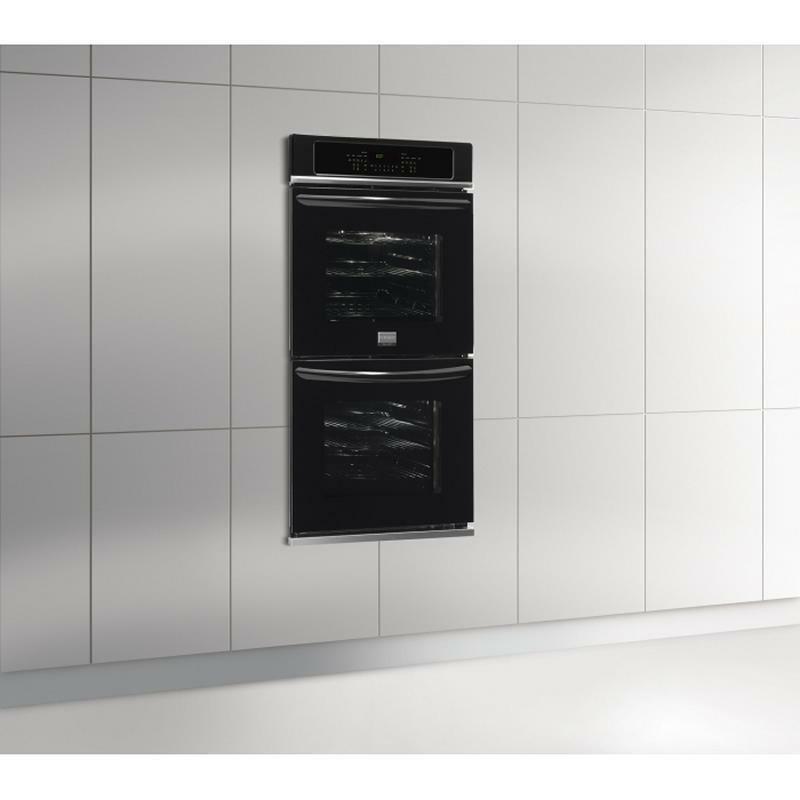 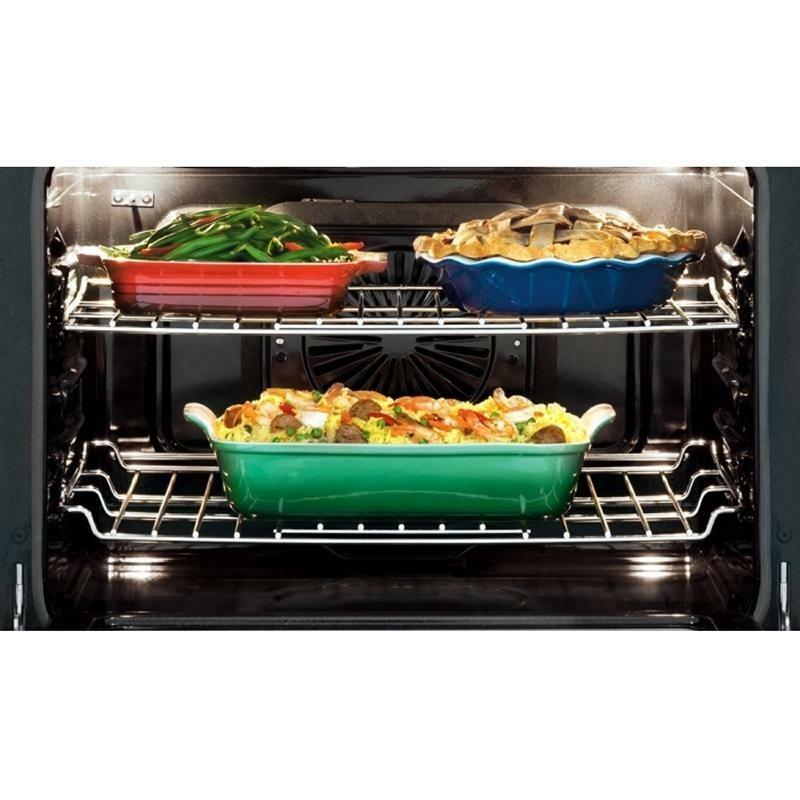 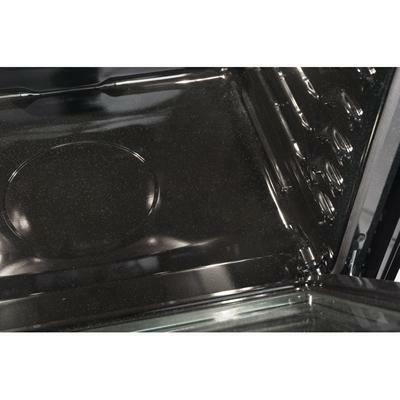 Frigidaire Gallery 30" double electric wall oven with true convection. 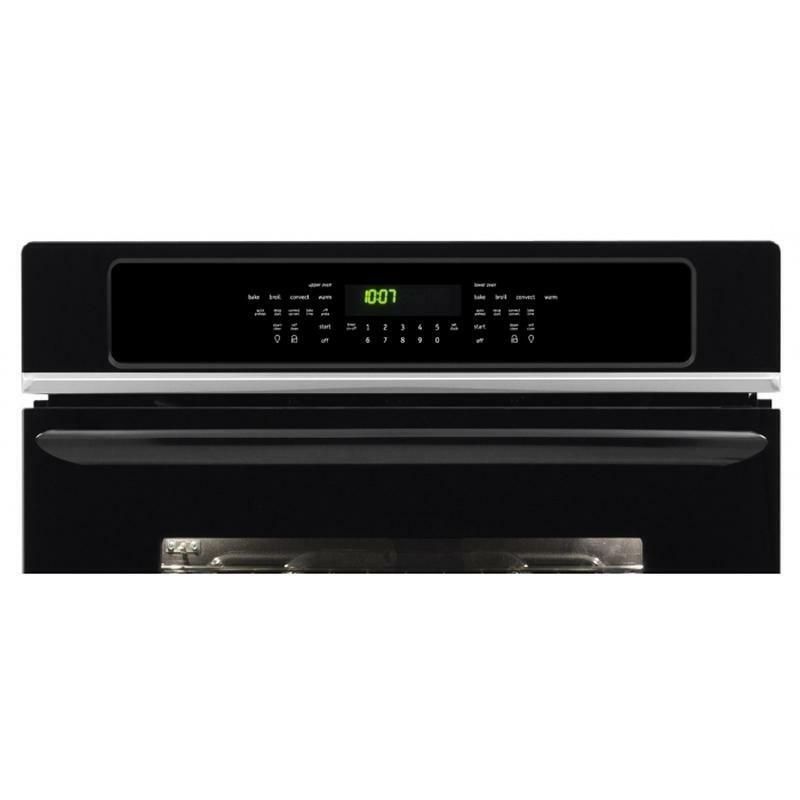 The oven features easy-to-use one touch buttons so you can cook pizza or chicken nuggets, or even add a minute to the timer, with the touch of a button. 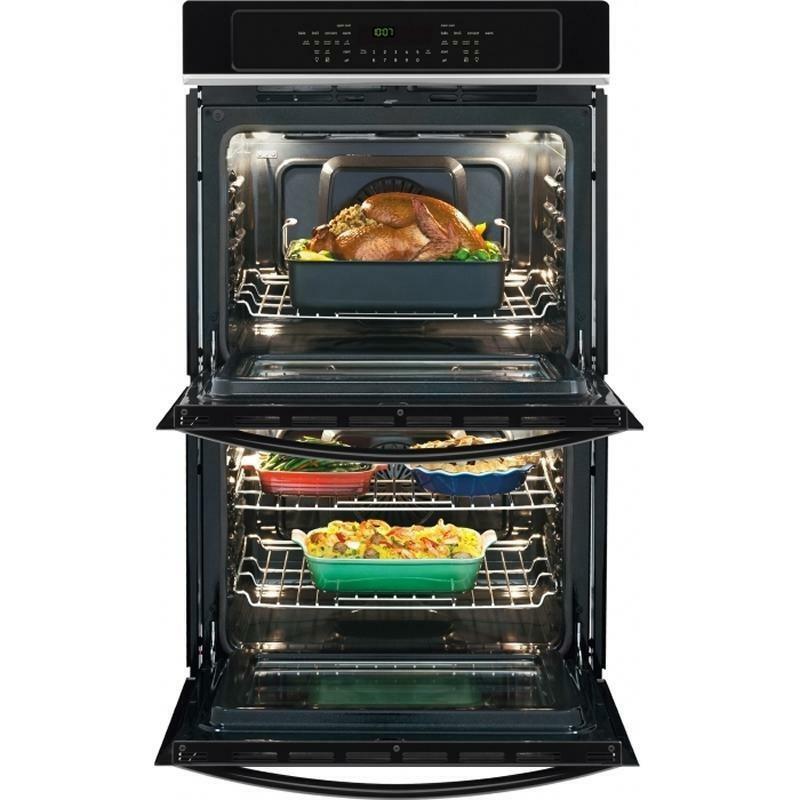 With its delay start, you can set your oven to begin cooking on your schedule. 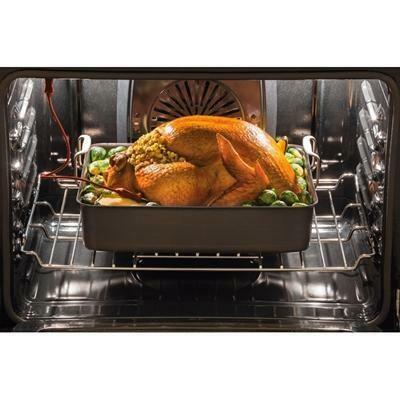 It can be programmed from one to 24 hours. 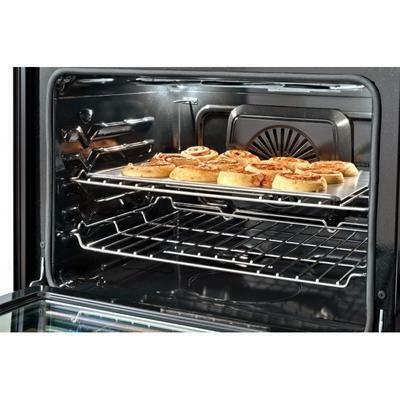 Additional Dimensions • Cut-out height: 48-3/4" - 49-7/8"
• Cut-out width: 28-1/2" - 29"
• Depth with door open 90 degrees: 45-3/4"